When I was in high school I worked at Chuck E. Cheese… and it was the BEST job ever! I loved it!! I’ve always loved kids though so I’m sure that was the main reason I enjoyed it so much. But I also made some life-long friends working there too. 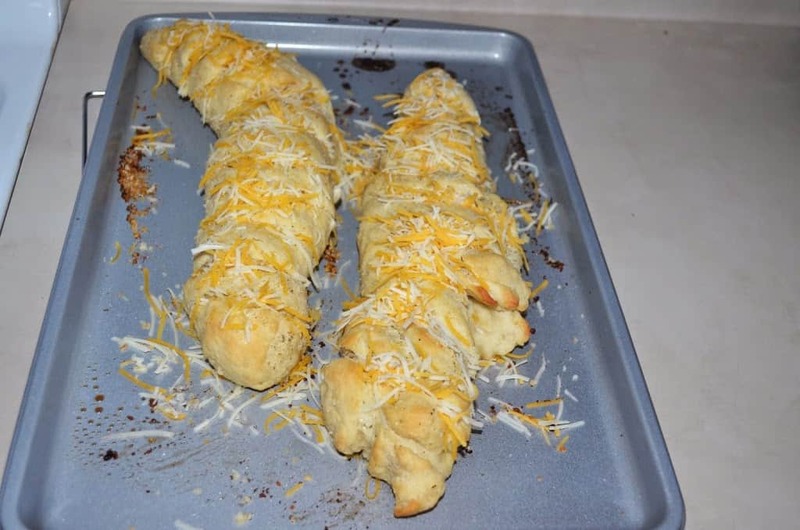 I have such fond memories of hanging out with friends, eating incorrectly ordered pizza and cheese bread… definitely my favorite high school memories! I loved when we took Rohrl there for the first time when he was almost 2 and watching his eyes light up with all the rides and the characters on stage. He did get a little freaked out when Chuck E. got close to him. One thing made me sad though…the food was not as good as I had remembered it being. Granted when you’re 15 all pizza tastes the same, but I was really hoping to love the pizza and cheesy bread like I did 10 years ago. 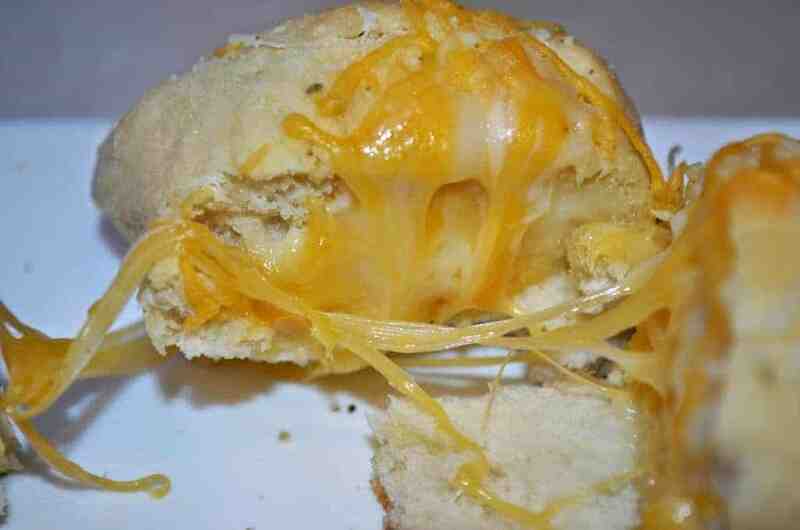 The cheese bread was my absolute favorite thing to eat in high school! I could eat a whole order by myself! I was lucky working kept me on my feet or I would’ve been the size of an elephant!! 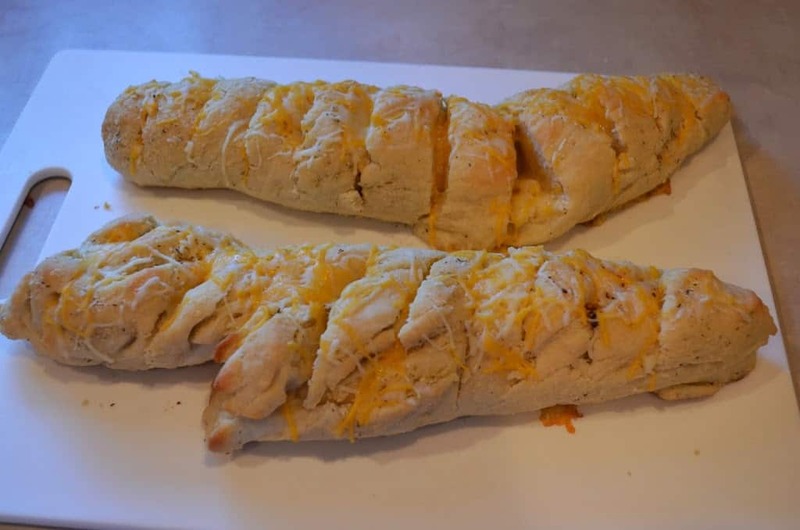 When I tried this cheese bread I found from Lauren’s Latest I was hoping it would taste good but I was blown away when it tasted JUST like my beloved Chuck E. Cheese cheese bread! I probably could’ve ate the whole loaf by myself again… well maybe not; but the hubby and kids loved it too! It is so easy to make and definitely something I will be making again and again. 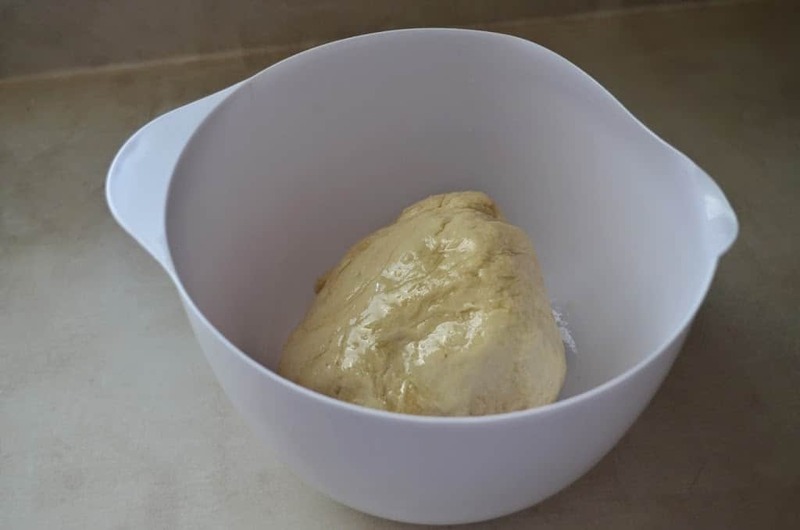 In a large bowl combine water, honey and yeast and let sit for 5 minutes. Add salt and then flour 1 cup at a time. Once all 3 cups are added knead dough for 5 minutes. When done dough should be smooth and not stick to your hands. 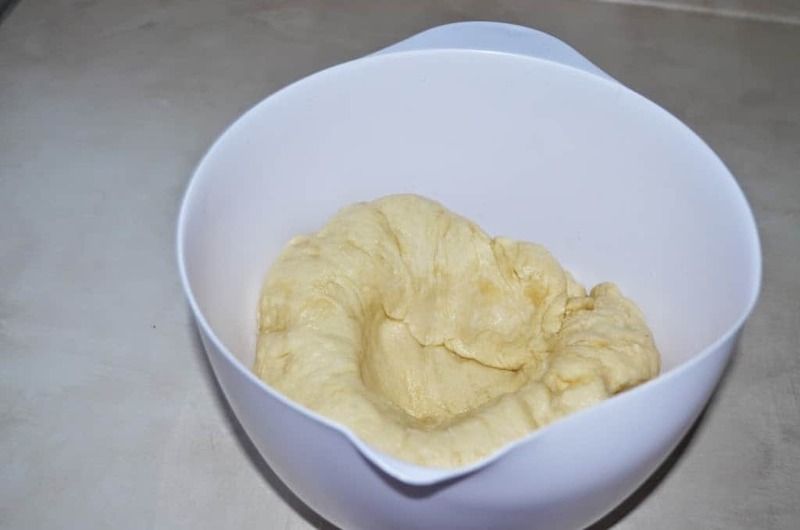 Grease the bowl and dough and cover with a damp towel. Let rise for 1 hour. Punch dough a few times and then cut into two equal pieces. 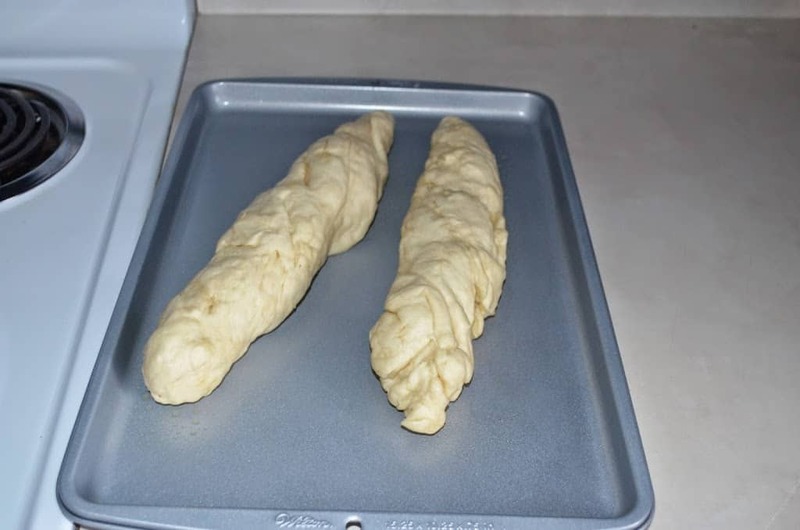 Grease a cookie sheet and make two long loaves. I twisted mine and it helped it hold shape. Cover with plastic wrap and let rise for 30 minutes. 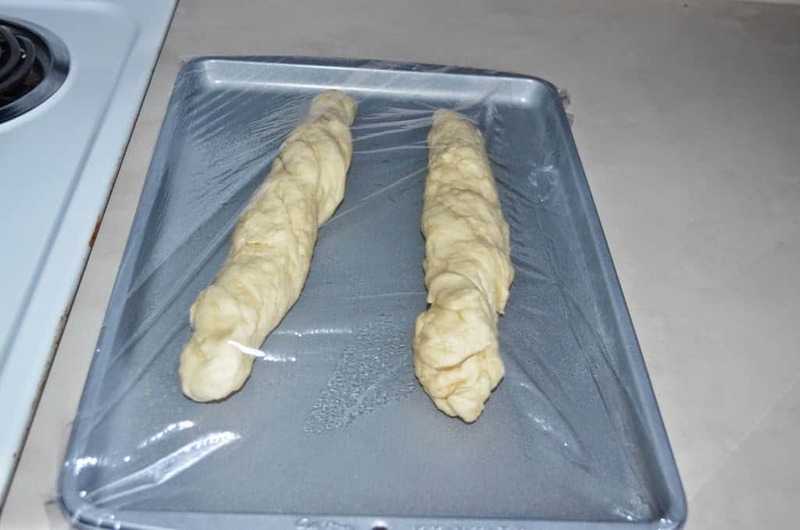 Remove plastic wrap and bake for 20 minutes. Brush the garlic butter on loaves and cook for 5-7 more minutes or until bread turns golden brown. Let cool then cut 1 in slats about 3/4 of the way through the loaves and brush garlic butter in between. 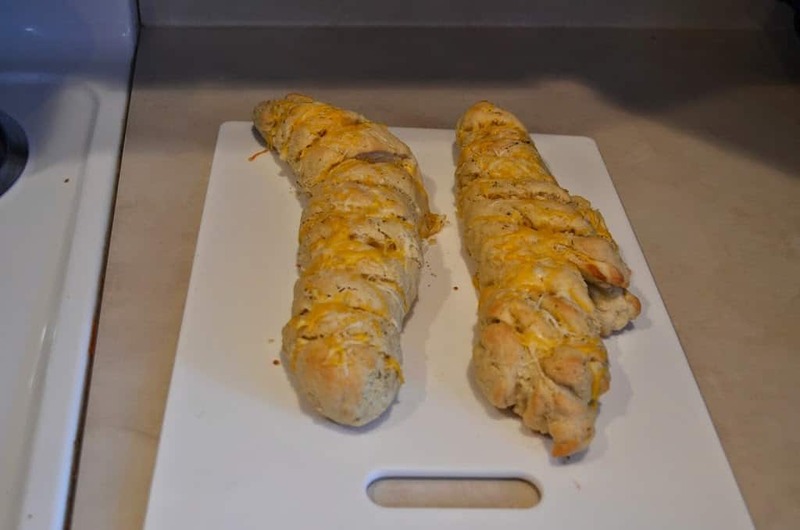 Then stuff slats with cheese. Cook for another 3-5 minutes or until cheese is melted. Mine aren’t the prettiest but they sure do taste amazing!! Great to make for parties, snacks or to go with spaghetti! « #TaiPeiYourWay: Quick, Easy and Delicious Meals from the freezer! This look DELISH! & pretty easy to make! Oh my gosh that looks SO good! Pinning this to make later for sure, thanks for sharing! That looks good to just pick at.. thanks for sharing the recipe! Thanks! Definitely a good appetizer! Oh my goodness this looks like it tastes so good! You had me at cheese! 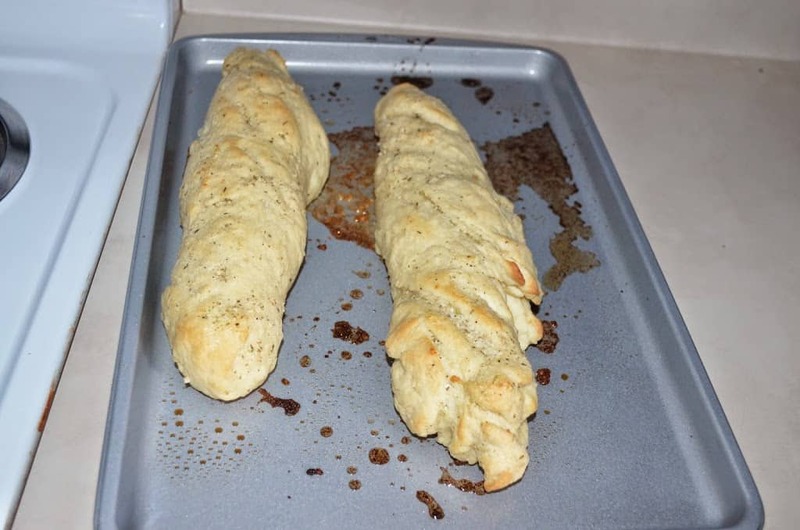 This garlic bread looks so yummy 🙂 Thanks for sharing! This looks really good! I love cheese and garlic together. Thanks! Me too Jessica… two of my favorites! OH MY! I could eat TONS of THAT!!! Maybe I can get better with time! Where do I subscribe to your RSS or via mail? I’m still new to the blogging world and don’t have a RSS set up yet. I am working on getting my own domain set up here in the next few weeks with all the add-ons for everything.